When Ronald Dahl wrote The Fantastic Mr. Fox, chances are that he never guessed just how famous his story would become or how popular the accompanying movie would be. Ronald Dahl, whose other works include Charlie and the Chocolate Factory and Matilda, awes audiences in this sweet, family-friendly film. Whether you have kindergartners or teenagers, this film has something for everyone to enjoy. If you aren't familiar with the story, the premise of the movie is simple. Mr. Fox wants adventure. Before Mr. Fox and his wife started a family, the two were chicken thieves. Mr. Fox swore to give up his life of crime, but finds that he is bored with his office job as a journalist. Mrs. Fox agrees to move to a new place in order to try to make Mr. Fox happy, but he uses their new proximity to local chicken farms to start up his thieving ways. Throughout the story, Mr. Fox loses his tail and his nephew is kidnapped, but Mrs. Fox stays by his side the entire time. Keep in mind that while this movie is rated PG, it does have some content that could overwhelming to younger children. Instead of swear words, Mr. Fox and his friends say "cuss" throughout the film. There is also some smoking and brief violence, so younger kids will want their parents close. The farmers are the antagonists in this film and use guns throughout the movie to try to kill the foxes and other animals. Despite the brief aggression in the film, there are some wonderful lessons that you'll walk away with. Mrs. Fox never abandons her family, despite her husband's broken promise to her. Mr. Fox's nephew stands up to a bully when another kid from school picks on his cousin. Mr. Fox also is willing to sacrifice himself to save his friends and neighbors, reminding viewers that loyalty truly is important. Overall, families will enjoy this film. There are jokes, music, and songs throughout the film, as well as one-liners that will have you in stitches. This movie is perfect for a family movie night or when you're going on a road trip and want something interesting to watch during the drive. 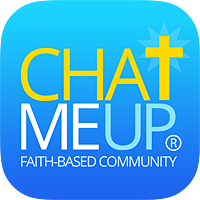 Review © 2014 Christian Faith-Based Community, CHATmeUp.com Inc. All Rights reserved.